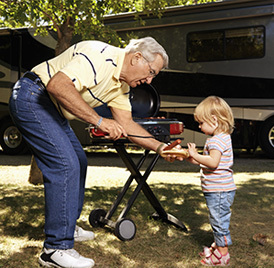 You've worked hard for your leisure time, so make sure your recreational vehicles and equipment are properly insured. Most people understand that they should invest in insurance to protect their most valuable assets from damages that could cause a financial catastrophe for themselves and their families. 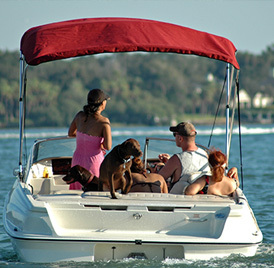 Recreational insurance provides protection for expensive assets such as RVs, motorcycles, and boats. Anyone who owns an RV understands its advantages. It allows people to experience the comfort of home while enjoying the outdoors and providing a secure way to travel long distances all over the country. Many people take pride in outfitting their RVs with the latest technology on the market. While this undoubtedly impresses friends and neighbors, it also makes the RV a valuable target for criminals who know that there is expensive equipment inside. If the RV gets broken into, you need recreational insurance to financially assist with the replacement of all the equipment and damage repair. If you're in an accident or your motorcycle is stolen, you’ll need the financial help to fix or replace it. If you or a passenger are injured in an accident, medical costs can be extremely expensive and insurance can help cover those costs. If your motorcycle is responsible for damage or injury to others, you may face lawsuits that insurance can help cover. Boats are expensive to purchase and to maintain, and in the event your boat runs aground or is involved in an accident, insurance can provide you with the financial assistance you need when your repair and replacement bills come in. If you are looking for boat our yacht insurance and want to discuss your needs with a qualified agent that will navigate you through the process, contact Kennedy Nemier Insurance Agency, Inc. today. For years, we have been helping people find the boat insurance policy to suit their needs by carefully comparing premiums and discussing advantages and disadvantages of each plan to determine what is right for you. Whether you are an avid snowmobiler or new to the sport, unexpected collisions and accidents can happen to even the most talented and experienced rider. As the International Snowmobile Manufacturers Association has noted, most snowmobilers ride over 1,200 miles each winter season, providing plenty of opportunities for disaster as well as fun. Having recreational insurance coverage for your snowmobile can help you out of a tough spot by ensuring that you're covered when faced with unexpected bills from accidents or collisions. Before heading out into the snow, explore your options for snowmobile insurance in Michigan and enjoy the beauty and majesty of winter without worry. As any winter sports enthusiast knows, snowmobile maintenance is expensive. A collision coverage policy can help you cover the cost of repairs after hitting a downed tree, clipping a fence or running into another snowmobile so that you can get back on the trail as soon as possible. If you're ever involved in a snowmobile accident, a comprehensive liability coverage policy can help protect you against costly bills for medical care and property damage. Two different types of liability coverage exist: bodily injury coverage and property damage coverage. Bodily injury liability coverage can help pay for medical bills resulting from an accident that you caused that resulted in injury to another party. Similarly, property damage liability coverage can help cover the cost of repairing property damaged in an accident for which you were at fault, whether to a home, a fence or another rider's snowmobile. Together, snowmobile liability coverage can help protect you from some of the biggest potential costs associated with operating a snowmobile. Contact us today for a free review and quote for your recreational vehicle. We often work with people from Plymouth, Canton, Northville, Livonia, Novi, Westland, and throughout Southeast Michigan.